Introduction to the basics of martial arts and self defense w/ Sempi Watson. Sempi Watson is one of Sensei Coffey’s black belts. 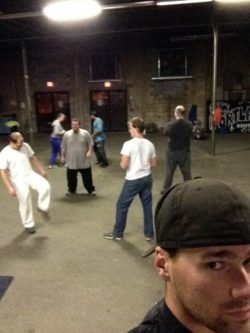 Watson has been studying martial arts for about 15 years and is passionate about developing the foundation of new members while strengthing the foundation of preexisting members.